One of the fun things about Christmas is all the family traditions that grow up around the holiday. 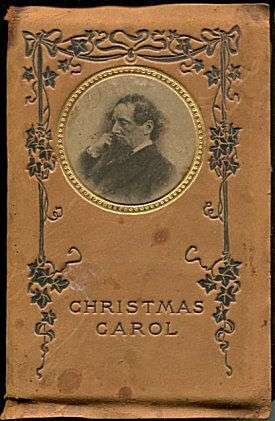 When I was a child, one of the local television stations would broadcast the old black-and-white version of A Christmas Carol starring Alastair Sim late on Christmas Eve, and Mom and I would snuggle up on the couch to watch. When the movie finished, it would be midnight and officially Christmas. Mom and I would hug each other, and saying a heartfelt "Merry Christmas!" go to our beds for some sleep before my grandparents would show up in the morning to open presents. 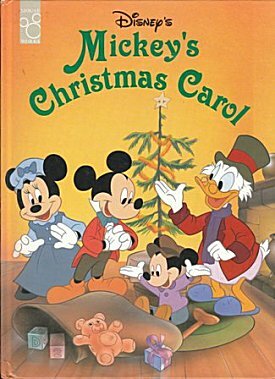 When we moved away, that Christmas Eve tradition faded away until the advent of VCRs and then DVDs. 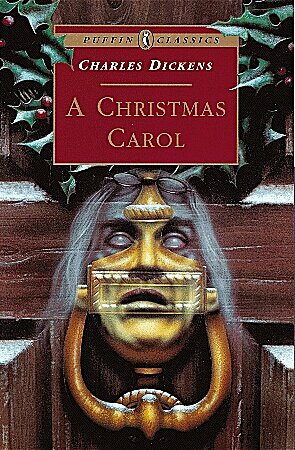 I have copies of both the Alistair Sim version and the George C. Scott version of A Christmas Carol, and that tradition is going strong once more. 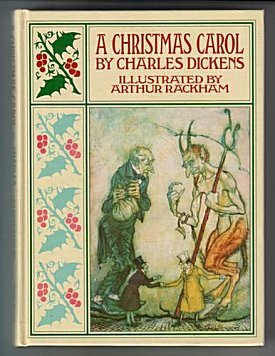 Perhaps it's just me, but Dickens' timeless Christmas story doesn't seem quite as prevalent as it was when I was a child. When I think of what's going on in the world today, I hear a ghostly voice asking, "Are there no prisons? Are there no workhouses?" But these are thoughts for another day. 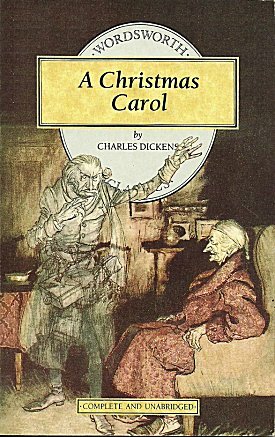 The different film versions of A Christmas Carol turned my mind to all the different book covers there have to be for this classic, and I thought I would visit a few. I hope you'll come along with me. I seem to have found a cornucopia of differing styles! How about this very old leatherbound edition? Or one illustrated by one of my favorites, Arthur Rackham? This one definitely gives me the creeps! And this one makes me laugh and think of Mr. Fezziwig. 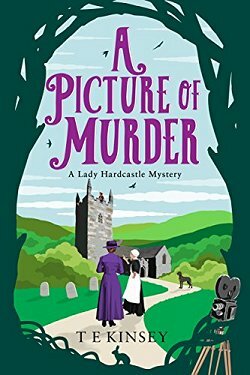 This cover definitely brings out the ghostly aspects of the tale. 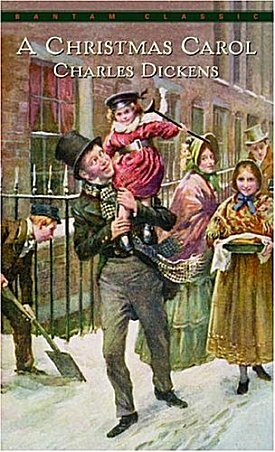 And who on earth could forget Bob Cratchit and Tiny Tim? I love this cover for the snow falling on those fabulous old buildings! 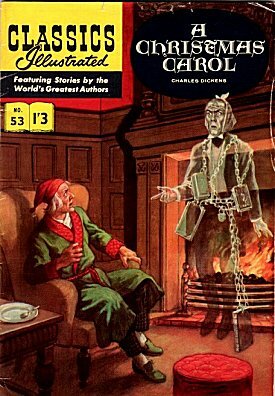 And this one reminds me of George C. Scott portraying Scrooge. 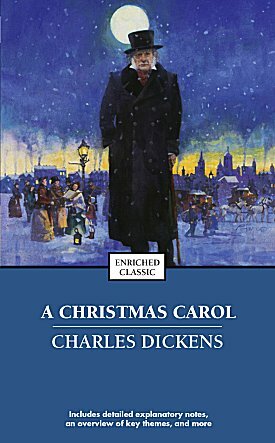 There are many comic book versions of Dickens' story. I had this one when I was a child. 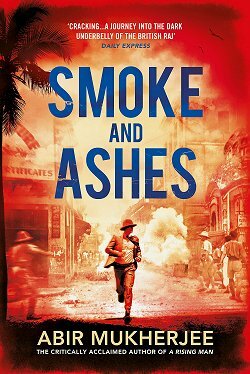 And this one, too. 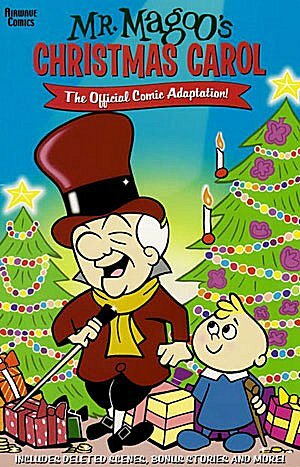 I loved Mr. Magoo! 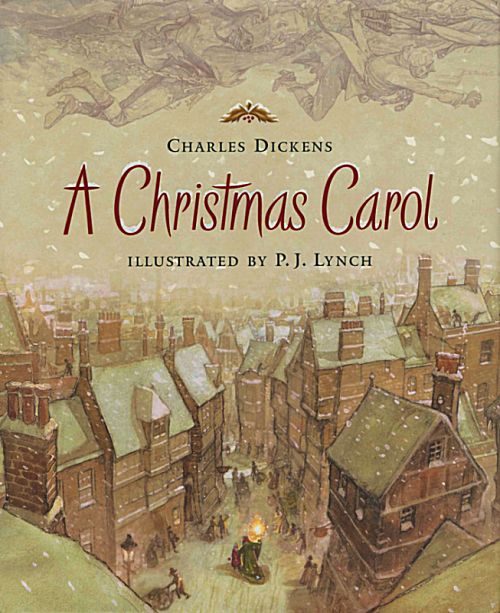 Of all the covers, this 2015 version is pretty, but it's certainly not Dickens! 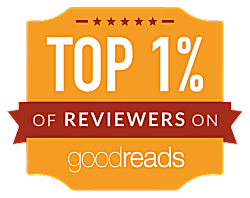 I hope you enjoyed visiting A Christmas Carol with me. You should've seen the smile on my face when I found the Mr. Magoo cover. 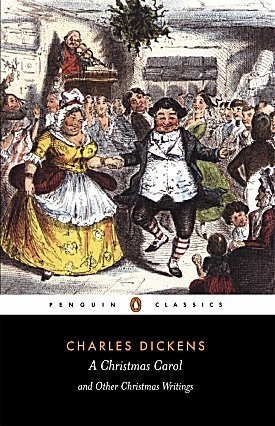 Dickens' story will be celebrating its 200th birthday in 2043, and we need the lessons it is trying to teach us today every bit as much as they were needed then. 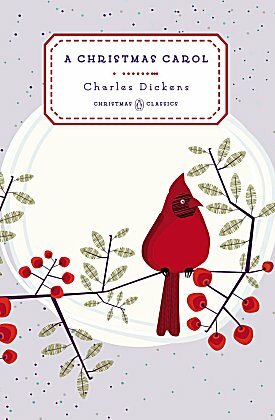 I couldn't agree more, Cathy, about what A Christmas Carol could still teach us. As you say, that's a conversation for another day. But for today, thanks for sharing all of these covers. So much personality in each one, I think. When I visited the children next door and saw their decorated tree, I asked the 5 1/2-year-old what he wanted as a gift. 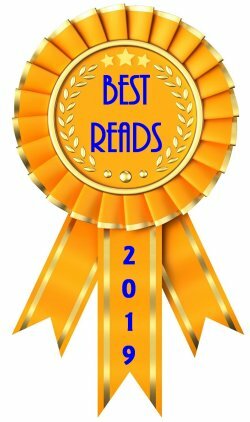 He said to me, "a book about Christmas," and he pointed to four copies of Christmas books at his feet, mostly Twas the Night before Christmas. I ordered "How the Grinch Stole Christmas," figured it was about time for the Dr. Seuss side of the story.